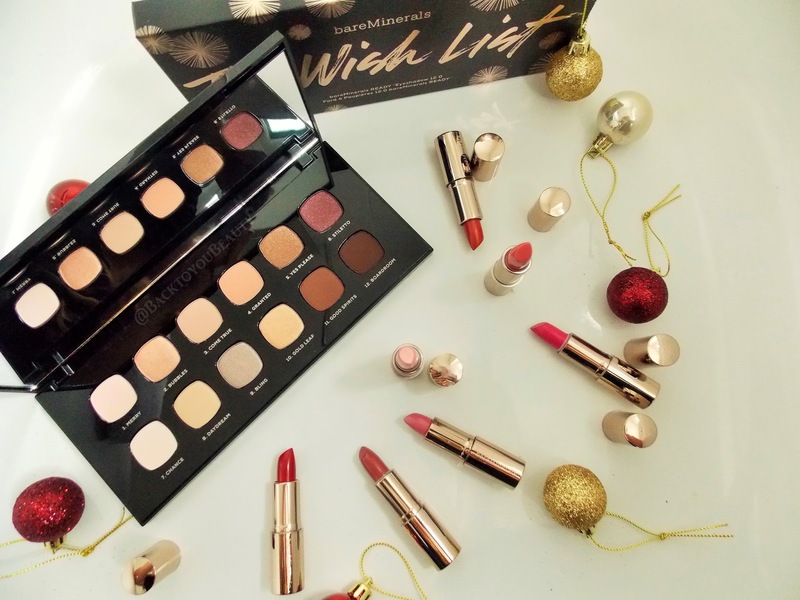 BareMinerals launch their Christmas Wish List – You Better Not Pout! Christmas and beauty products are a match made in make up heaven. The packaging, the colours, the glitz and glam its all exciting! 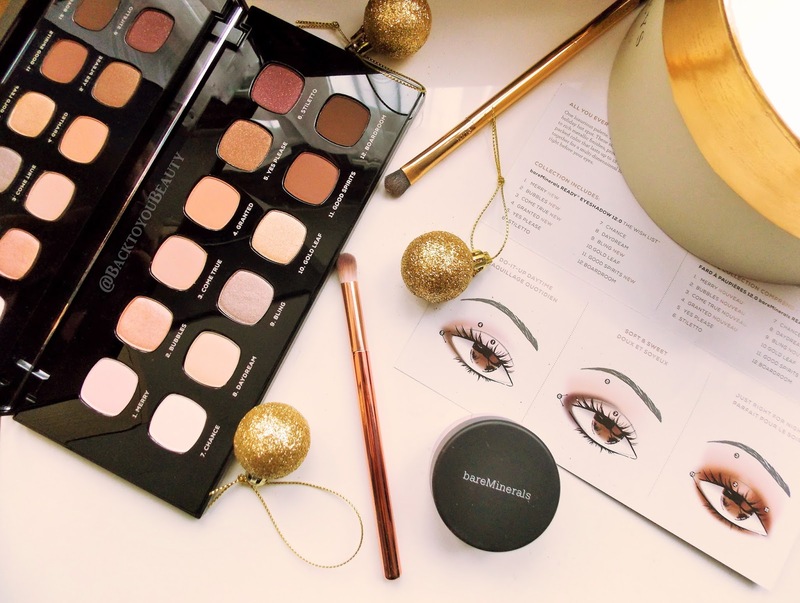 BareMinerals have launched some fantastic products for Christmas this year and I am featuring two gorgeous collections below. This collection seriously has my name all over it! (Well it doesn’t, it has BareMinerals The Wish List….) From the Glitzy black and gold packaging to the selection of neutral shades in soft mattes through to rich metallic, there is something here for everyone. Highly pigmented, incredibly soft on application and at least 12 hour longevity, this really is the perfect day to night palette. 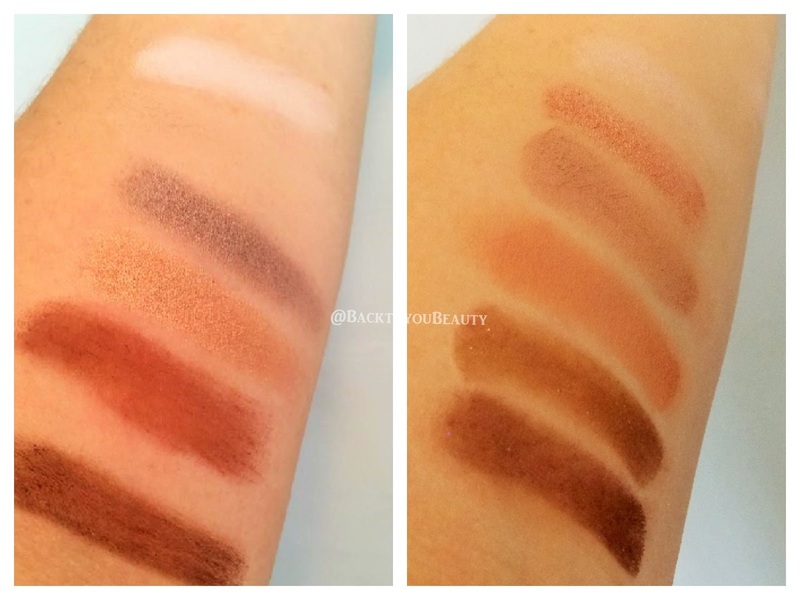 Great for all ages and skin tones you can mix, match, blend and layer the shades as you see fit and as they contain a proprietary Sea Nutritive Mineral Complex, for those of us with more mature skin, they reduce the appearance of fine lines and wrinkles on the eyes. Another fabulous collection of goodies from BareMinerals that compliments The Wish List eye shadow palette perfectly. Presented in a gift box and containing the famous Marvellous Moxie lipsticks with a mix of existing and brand new shades, this is the perfect lip wardrobe for anyone wishing to add to their collection. 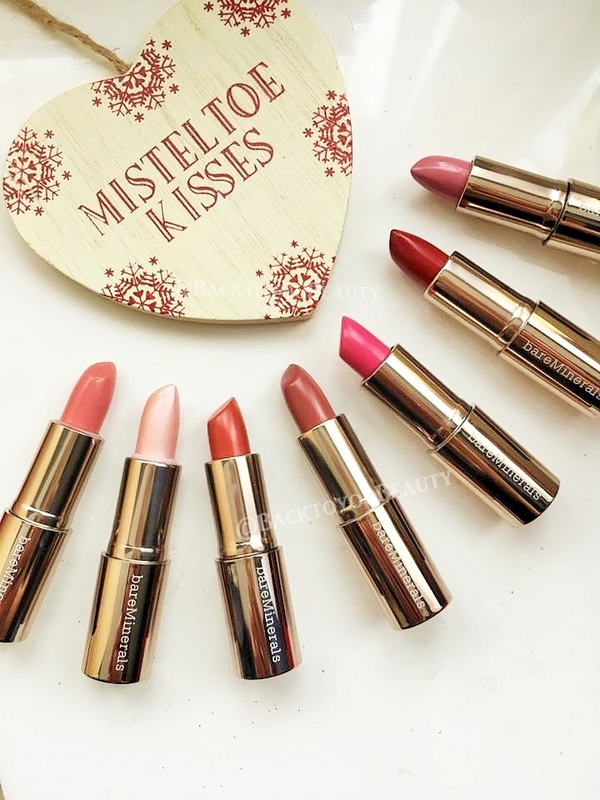 These lipsticks are incredibly moisturising and comfortable on the lips. Infused with minerals and encapsulated vitamins A, C and E complex, they leave the lips looking and feeling soft, smooth and plumper. I love these lipsticks, they are half the size of a regular Moxie but are perfect for putting in your pocket or purse for on the go touch ups. I love to mix and match these and create an ombre look by applying a darker shade around the outside of the lip and blending a lighter shade in the centre, but these are just a beautiful straight from the bullet as one shade. 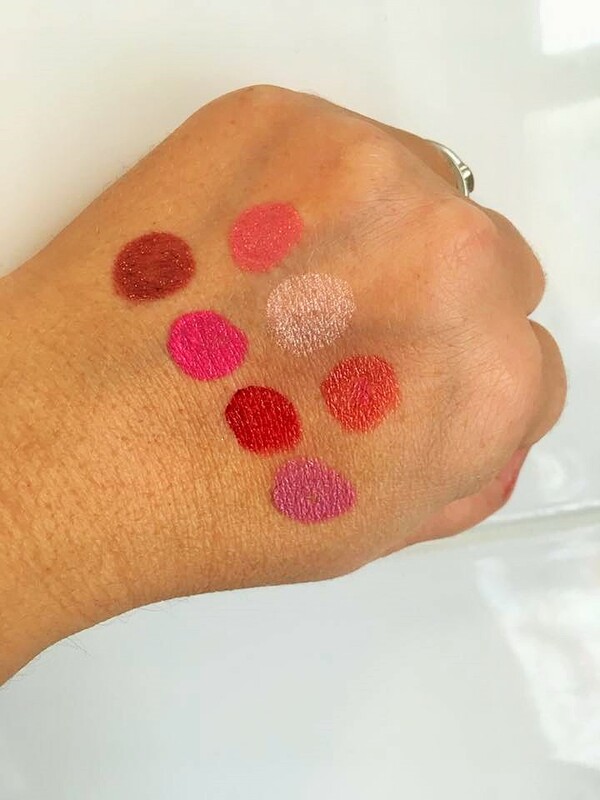 A gorgeous collection of vibrant lipsticks which really are perfect for teenagers up to more mature ages and are incredibly flattering on all skin tones. They give a lovely Semi-Matte satin finish to the lip. A must have from Santa this year. Both these collections are perfect to wear over the party season or for gift giving at Christmas, they look incredibly pretty both in the packaging and on the face!! Both these collections are available whilst stocks last from QvcUk.